The Akron-Summit County Public Library will be a collection site for Harvest for Hunger donations during the month of April. You can drop food at any of our locations in April. National Library Week is an annual celebration highlighting the valuable role libraries, librarians, and library workers play in transforming lives and strengthening our communities. This year’s theme, Libraries = Strong Communities, illustrates how today’s libraries are at the heart of our cities, towns, schools and campuses, providing critical resources, programs and expertise. They also provide a public space where all community members, regardless of age, culture or income level, can come together to connect and learn. Library programs are designed to encourage community members to meet and discuss civic issues, work together using new technologies like 3D printing or learn alongside one another in technology classes. Library staff also partner with other civic and service organizations to actively engage the people they serve, always striving to make sure their community’s needs are being met. Join the celebration! National Library Week is an exciting opportunity for library supporters and libraries of all types to raise awareness of their value and impact in their communities. Head to your public, school, or academic library during National Library Week to see what's new and take part in the celebration. Libraries across the country are participating. Post photos, videos, or text on social media highlighting what you love about your library, whether it’s a way your library brings your community together or a few of your favorite library resources and activities. Share during National Library Week (April 8 – 13) using the hashtag #MyLibraryMyStory on Twitter or Instagram or on the I Love Libraries Facebook page. If you love your library, say it loud and proud: vocal community support helps libraries secure much-needed funding and reminds hardworking library staff that their efforts are appreciated. Participating in #MyLibraryMyStory is a quick, easy way to help your library thrive! And don't forget to tag your library! 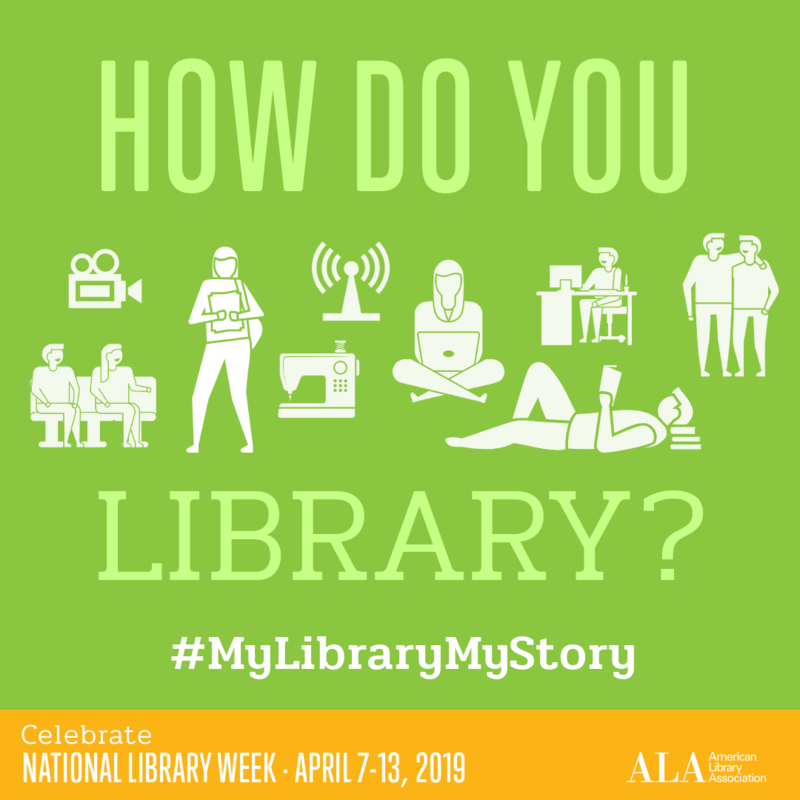 And don't forget to follow the Akron-Summit County Public Library and the American Library Association on social media and join the celebration by using the hashtags #NationalLibraryWeek and #LibrariesTransform. Libraries have been loaning books for it seems like forever, and music and DVDs for just about as long. But, sometimes, you want to do more than read all about it – you want to really experience something. The people at the Akron-Summit County Public Library know how you feel. We’re creating a Library of Things – Things you can check out and use right in your own home. Things like original, framed artwork and small kitchen appliances. Things you can search for on our catalog, and place a hold on, and check out with your library card. Things you borrow, and then return so they can be shared with others in our community. The Akron-Summit County Public Library’s Science and Technology Division reached a rather unique milestone. The librarians who index the Science Project Index books (www.akronlibrary.org/scienceprojects) recently indexed the 50,000th experiment.